Ski within your ability level. Progress into more difficult terrain only once are comfortable with the terrain you are currently skiing. Slow down! The average skier travels faster than 25 miles per hour. 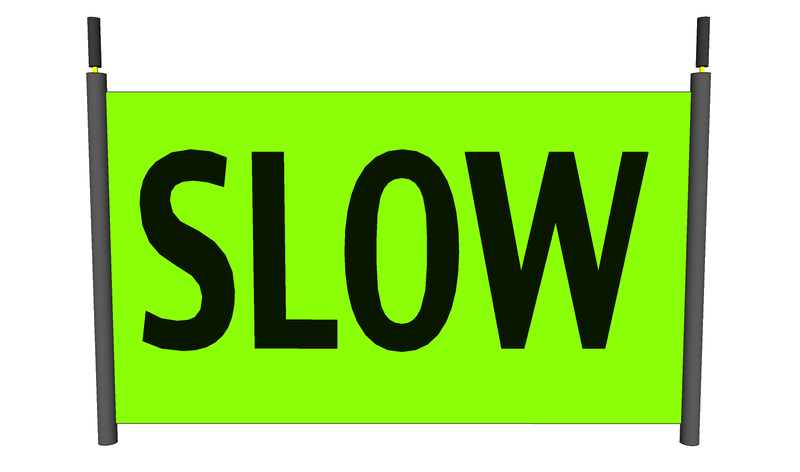 Obey Slow Skiing Areas, regardless of your ability level. Even if you feel in control, skiers ahead of you may act unpredictably! Spread out. With over 3,300 acres of skiable terrain at Snowmass, there is room for everyone. Give your fellow skiers some space. Stop to the sides of trails and in areas where you are clearly visible to oncoming riders. Avoid stopping below blind rollovers. Be aware of shadows or dark timber that may make you more difficult to see. Avoid stopping on narrow sections of trails where other skiers may have a difficult time getting around you. When regrouping with riding partners, stop close together to allow plenty of space on the trail for others. When stopped on a trail, remain aware of oncoming skiers and boarders! Do your part to avoid colliding with another skier, especially when crossing trails or where trails merge. Ski brakes or leashes are required on skis and snowboards. Closed trails are marked with signs and/or ropes. It is your responsibility to know whether a trail is open or closed. Trails may be closed for many reasons. In most cases, it is for your own safety. The ski area boundary is marked with signs and/or ropes. 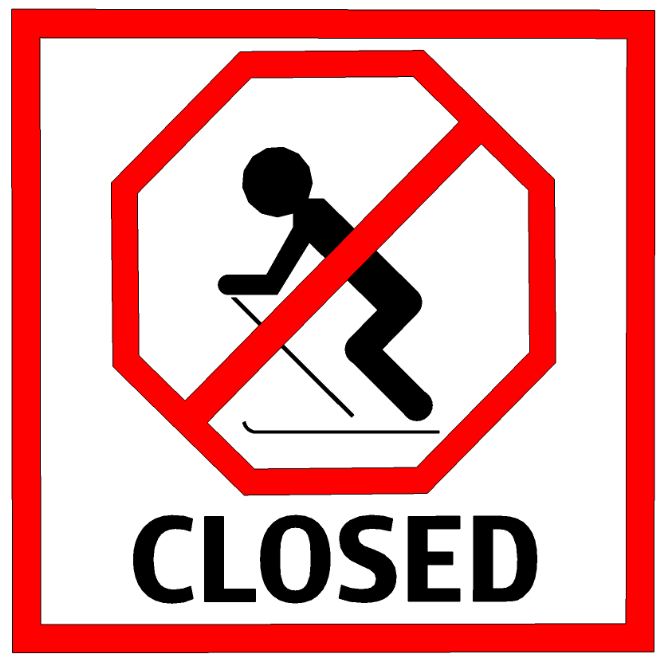 When reentering the ski area from the backcountry, it is your responsibility to know whether the trail is open or closed. For more information on the Aspen Skiing Company’s Ski Area Boundary policy, please CLICK HERE. To learn more about preparing to travel in the backcountry, visit KBYG.org. To check the current avalanche danger forecast, visit the Colorado Avalanche Information Center. Ask a lift operator if you or someone you are skiing with needs help loading or unloading the lift. Listen to the lift operator’s advice. If you fall, let go of the platter and start over! Stay in the tracks. Swerving can damage the lift and force it to close. Never ski/ride down the lift line. Follow the marked ski trails. START SMALL – Work your way up. Build your skills. Under Colorado Law, which skier has the right of way on the slopes? Which of the following are Slow Skiing Areas at Snowmass? Max Park and Fanny Hill are both Slow Skiing Areas. These are both Slow Skiing Areas. Stop off to the side where you are clearly visible. Stop under blind rollovers to keep other skiers on their toes. Stop in the middle of the trail. If planning to travel outside of the Ski Area Boundary, it is important to be prepared, as there are no ski patrol services and avalanche control work is not conducted. True. There are no ski patrol services and avalanche control work is not conducted outside the Ski Area Boundaries. Starting Small, Making a Plan, Always Looking, Respecting the features and other users, and Taking It Easy. Go Fast, Go Big, Go to the Hospital. Bigger is better, That looks easy, Is my GoPro on?